Dr Gagandeep Singh : - There is no secret. The right knowledge applied at the right time always brings dividends. Dr Gagandeep Singh . They supported me by all means possible is never doubted me. Dr Gagandeep Singh : My father. Dr Gagandeep Singh : Never. Dr Gagandeep Singh : DAMS papers, Amit Ashish, Mudit Khanna, Dr Gagandeep Singh SumerSethi’s book for Radiology. Dr Gagandeep Singh : This concept is now absolute after introduction of NEET. 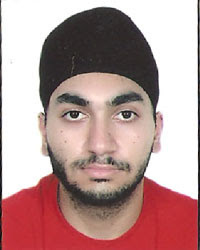 Dr Gagandeep Singh :Medicine, Surgery and Pathology. DAMS: What was your strategy for the exam day ? How many questins did you attempt and why ? Dr Gagandeep Singh : I attempted all questions. It was a calculated risk. Dr Gagandeep Singh : Dr Gagandeep Singh Sumer Sethi for his valuable guidance in radiology and stresswise, Surgery and Medicine Faculty. - Course finished on time. - Appreciation by student feedback.